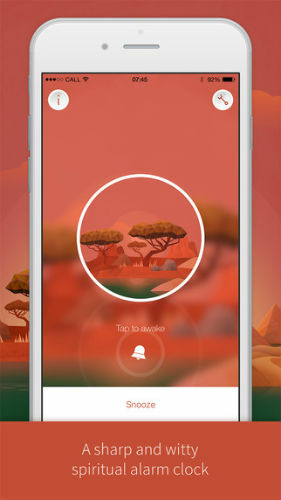 Awake – Spiritual Alarm for iPhone is a fascinating alarm app for iOS that seeks to provide a new way to wake you up that attempts to help you start your day in the right frame of mind. The basic function of the app is to provide a new saying or message to you when you wake up, along with a visual theme that helps to set you up for the day ahead. The messages you receive are all completely original, and written specifically for the app. This is good, because you are not going to be getting the bog standard texts that you will find in dozens of other, similar apps. Once you have set an alarm, your phone will wake you with both the visual theme and the message for the day. If you are too tired to process the message right away, or want to read it again, you can instantly archive it or, if you are rather better at dealing with mornings and have your wits about you, there is also a sharing function. The messages all seem to be well written, with wit and wisdom, but I was most impressed by the themes you get with the app. These are updated weekly and all feature either the sun setting or rising in different countries and landmarks around the world. They look great and are very well designed with a warmth and a genuine feeling of quality about them. They go along really well with the messages, creating a very special morning app. The tune you wake up to is also pretty cool. The app is free to download and use, with a free 7 day subscription followed by another free month, so 5 weeks of free use, after which you can choose to pay a nominal 99c per month to use the app. This is a good solution, as you will definitely know whether you want to pay for the service after using it for 5 weeks. I know I plan to. Overall, this is a really special alarm app that has simply gorgeous theming, original writings and even a decent little tune to wake you up. 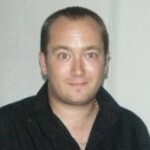 Highly recommended as one of the best apps of this type we have yet seen here.